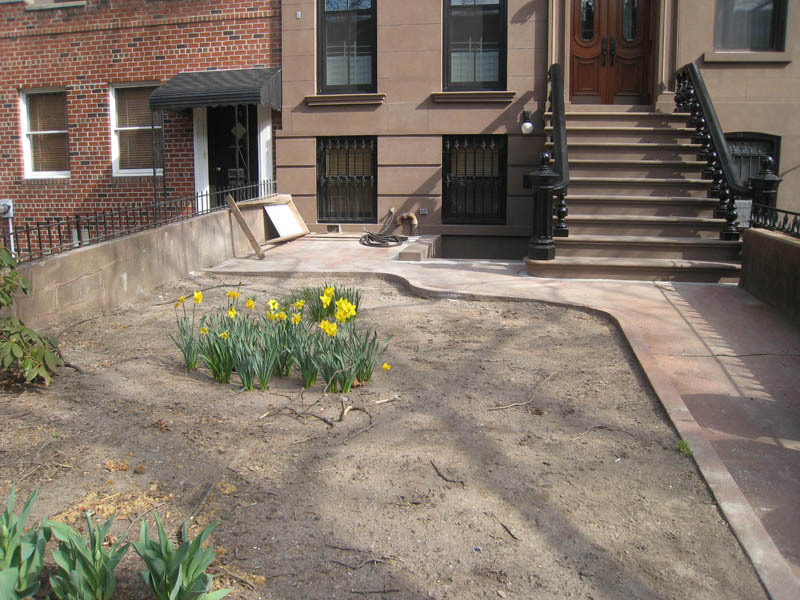 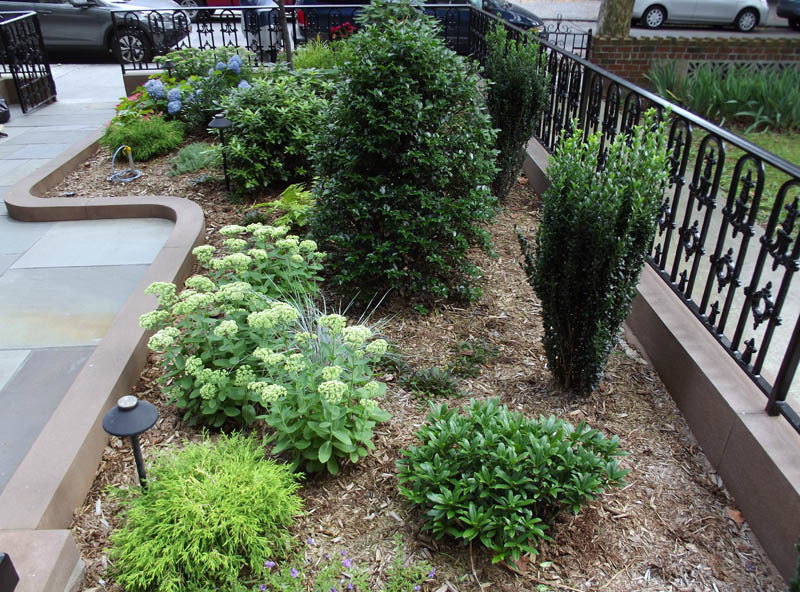 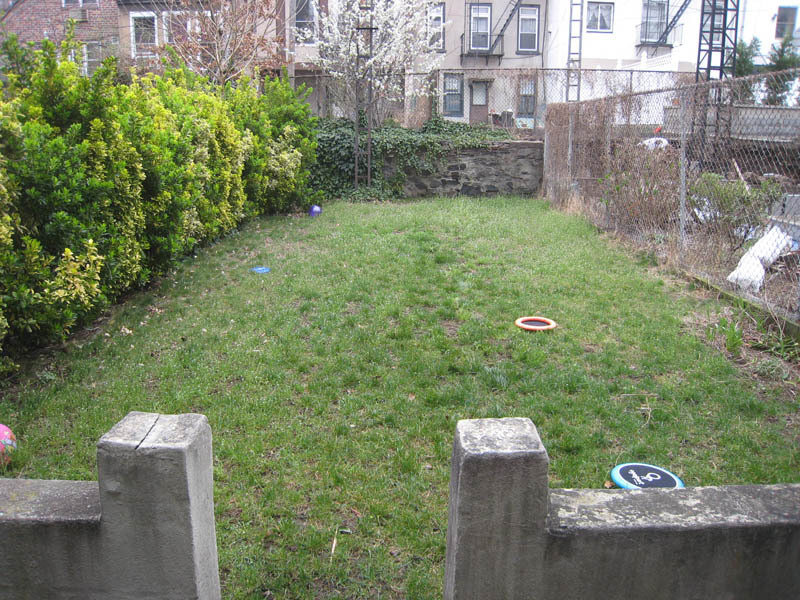 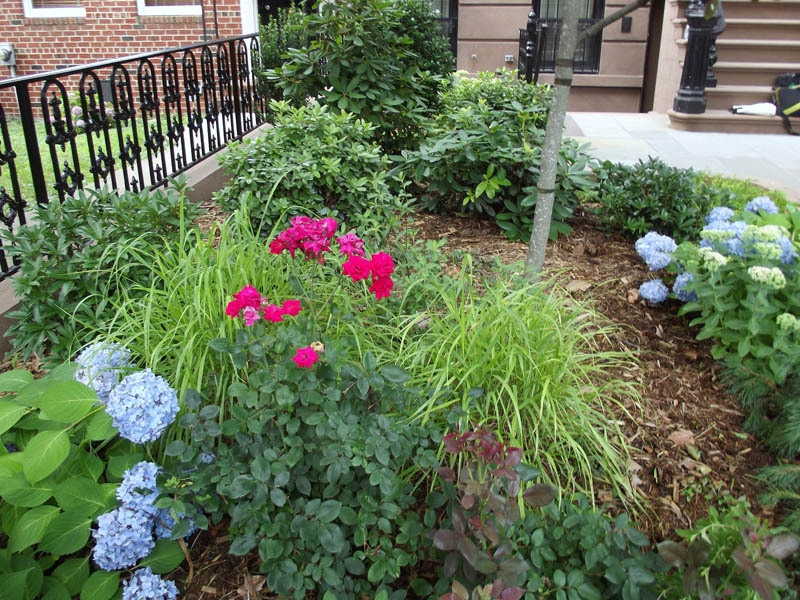 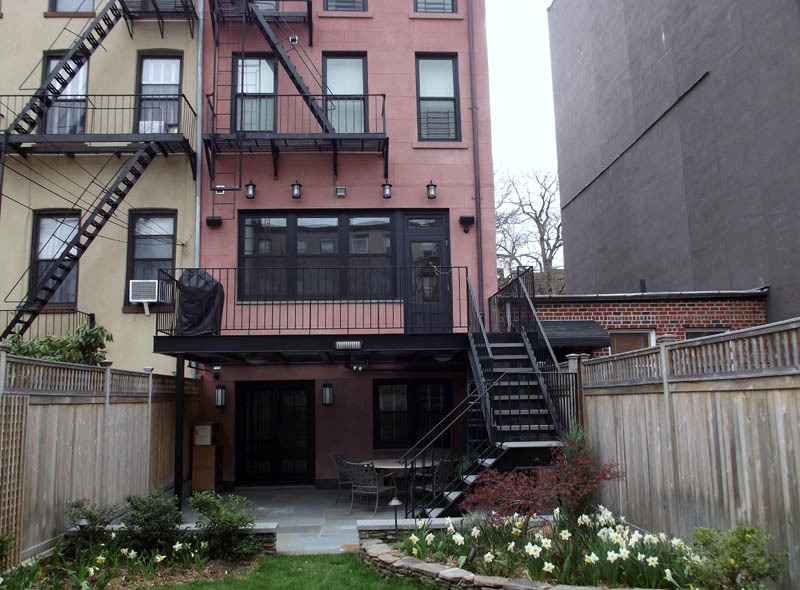 This brownstone has garden spaces in the front and back. 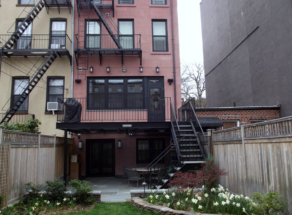 The back garden was gutted and the fire escape removed. An inviting terrace was created with a stone and glass floor and descending staircase to add access to the lower garden. 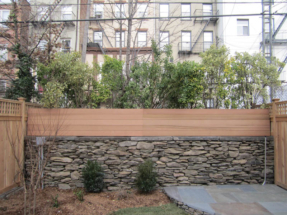 The garden level has a beautiful bluestone patio and separate seating area in the back with a two-sided fence, built stone walls separating the patio from garden, and a raised planting bed. 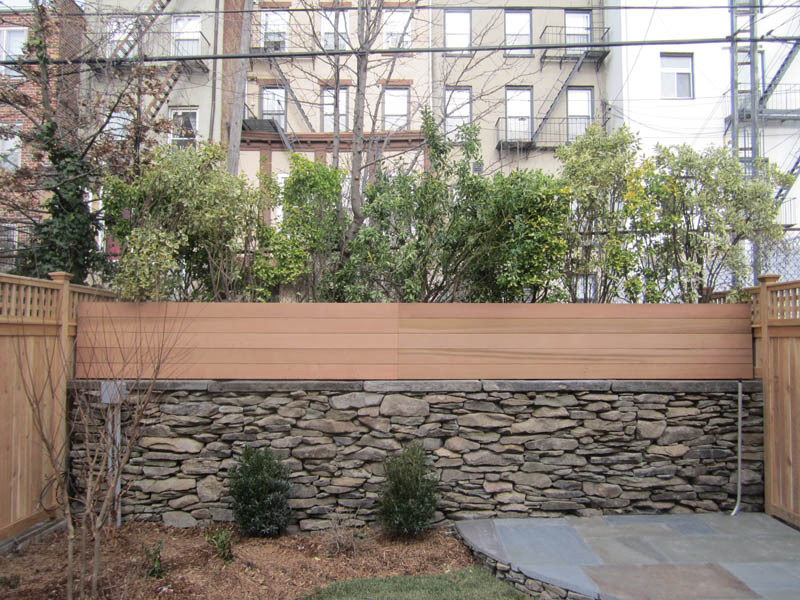 Planter boxes were added on top of the back wall to create a living fence. 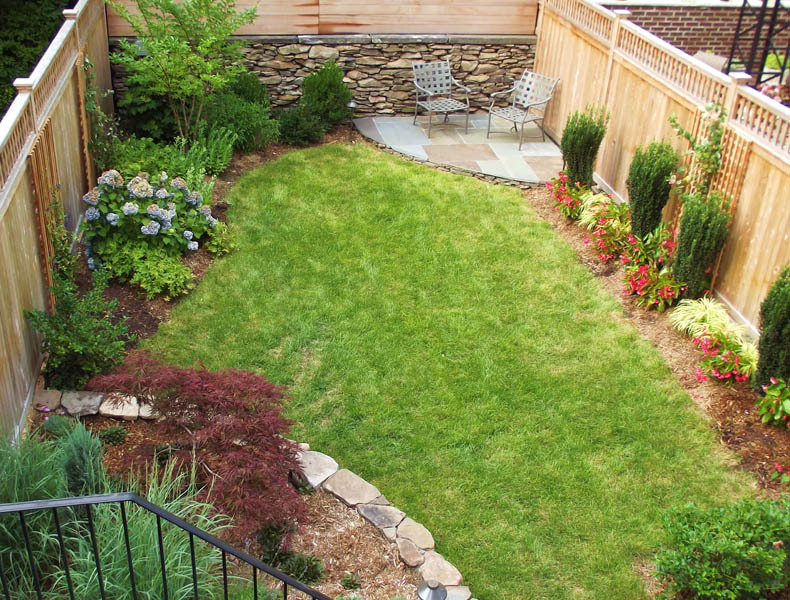 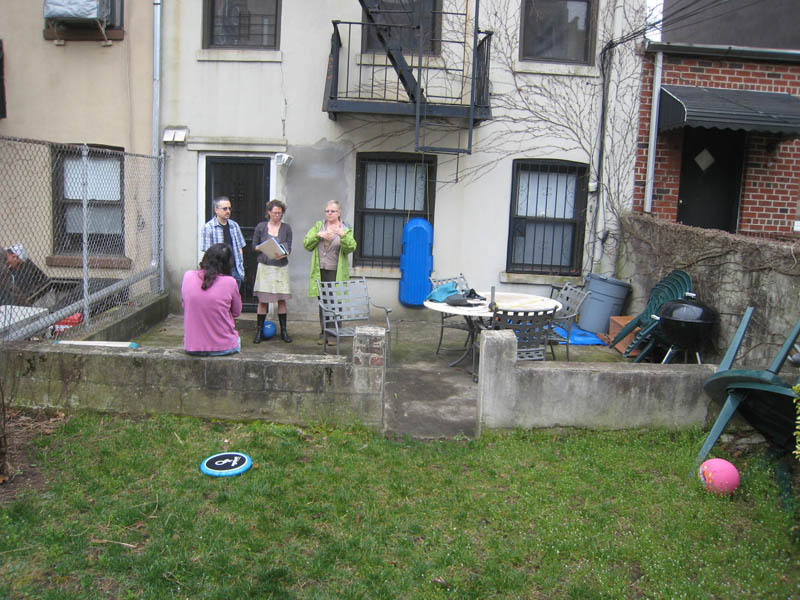 This family now has a welcoming front, a grassy lawn, and a terrace for entertaining.